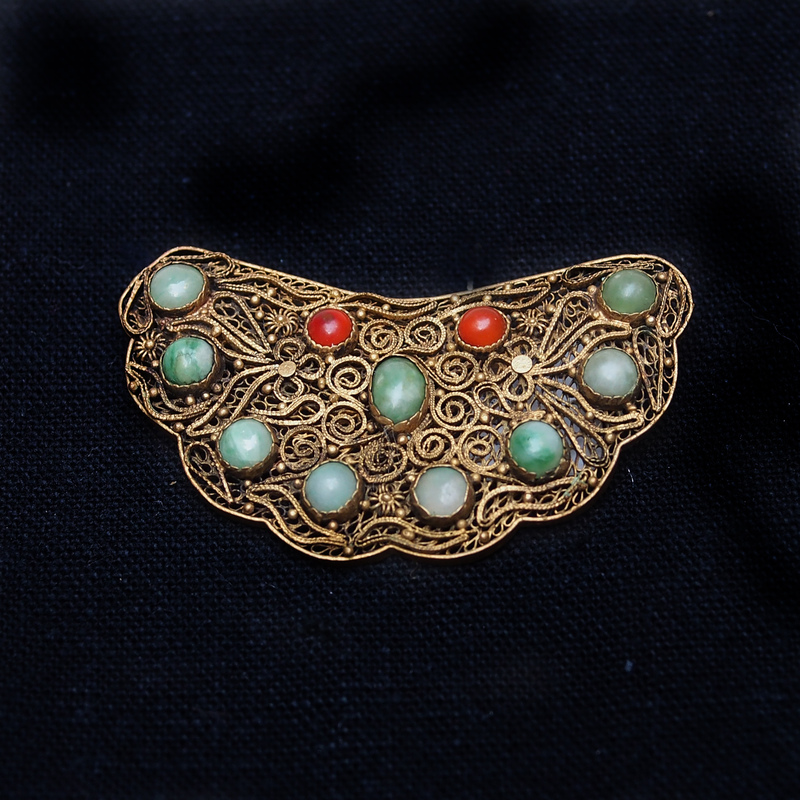 The art of filigree has been well established, especially in Beijing where the imperial jewellery and even hat gear employed the technique of filigree. 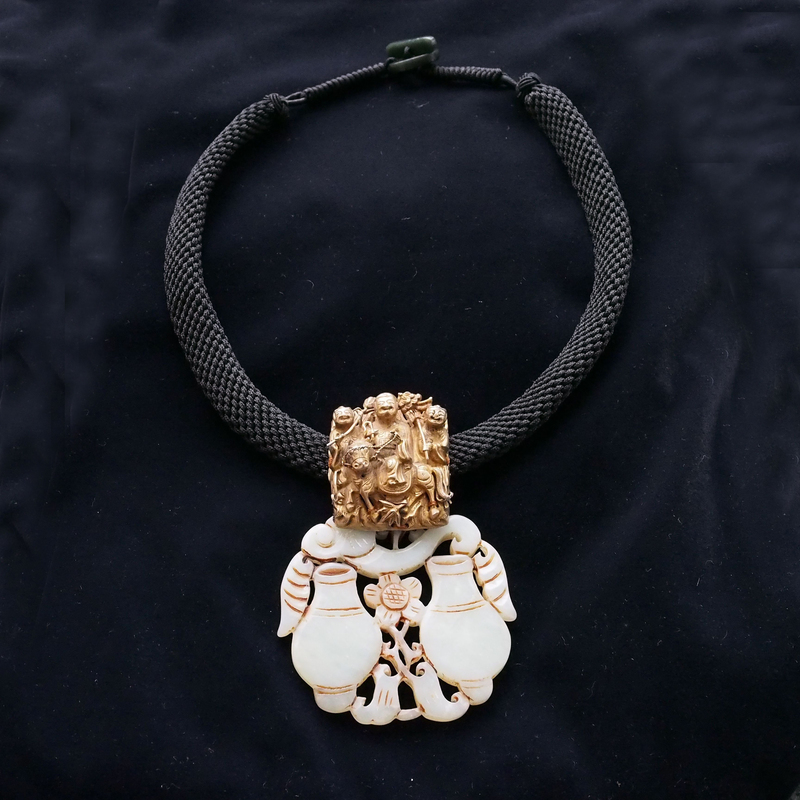 The start of the craft probably began as early as the Spring and Autumn period, when technology made it possible to produce fine gold and silver strings to be embedded into the bronze ware. 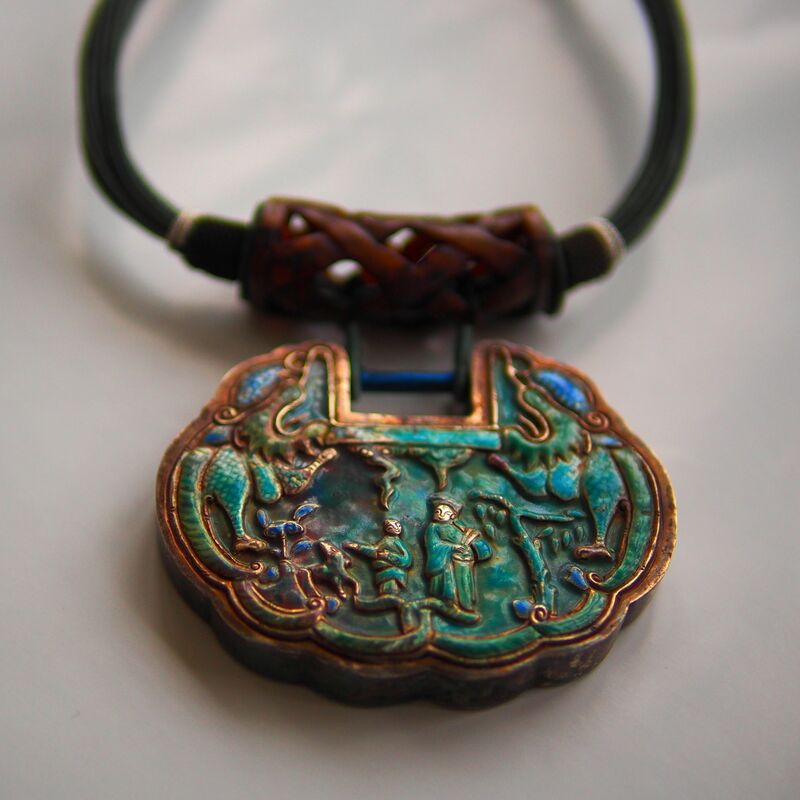 Different techniques were developed making it possible to create delicate jewellery twisting and turning precious gold and silver threads into beautiful motifs. 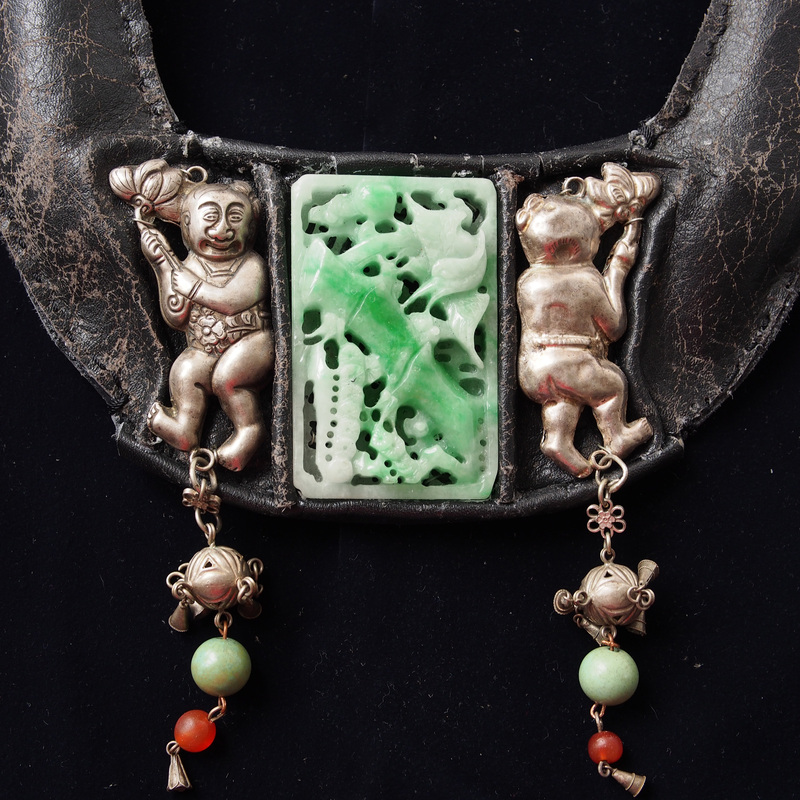 The pair of babies next to the jade plaque are known as Happy Encounter, a romantic blessing symbol. They are holding a lotus flower 蓮, has the same pronunciation (lian) as the word 年 yearly. In the old days, with a high motility rate and the idea of continuing the family tree, having as many children is wish by many. Below the figurines hang a xiu qiu which is a traditional romantic keepsake. 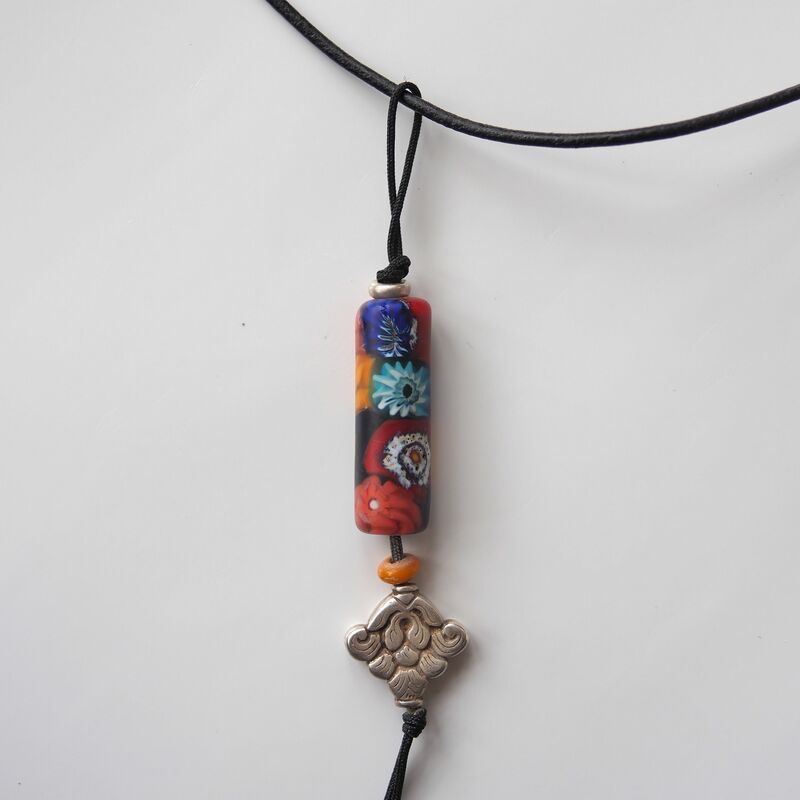 Another one of a kind necklace fresh from our workshop. 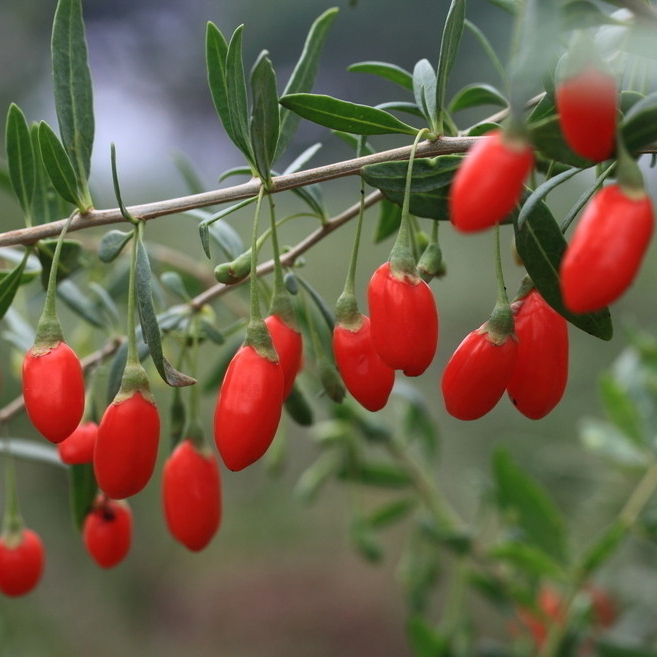 Inspired by the goji berries. This delicate gold plated carving used to be a hat decoration. Until the Qing dynasty hat was seen as a status symbol, worn by only the Emperor and the high ranking officials, commoners are forbidden to wear hats and usual tie their hair with a piece of cloth. It was until the Qing dynasty that hats became an item for all, though their style and details are still well defined by the social levels. On its hundredth day birthday, a baby would be given a hat which is constructed a bit like the beach ball, bind by 6 equal wedges of cloth. The 6s represented the sky, the earth and the four directions. On this hat a decorative ornament would be place over the forehead, an ornament of good wishes; the eight immortals, longevity, luo han, etc. 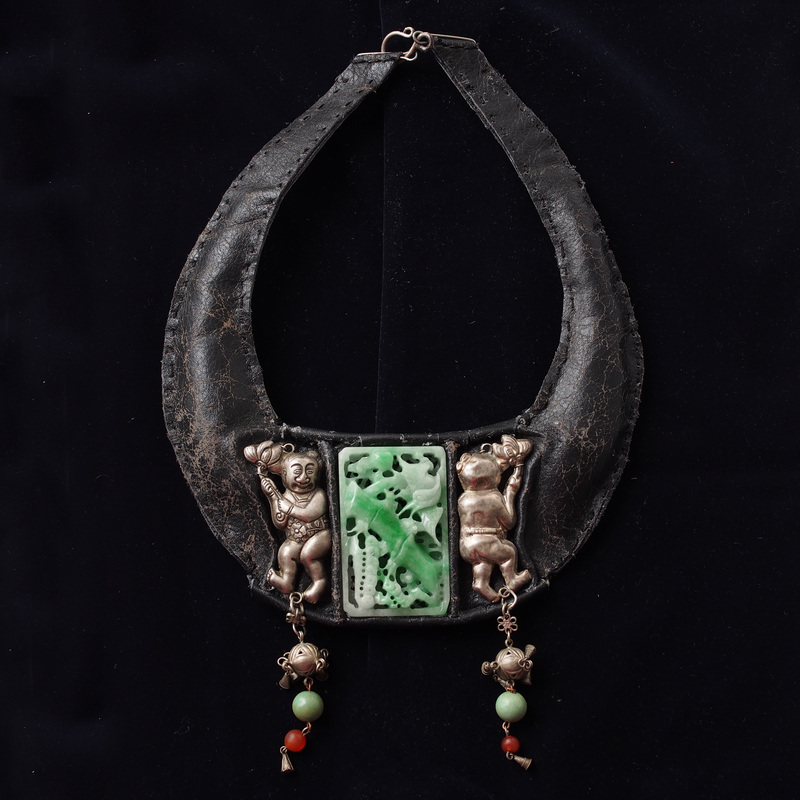 This particular decoration has the theme of a Zhuang Yuan, the scholar who came top in the examination. A wish for scholarly, prosperity, loyalty to the country, everything parents would wish for their child. 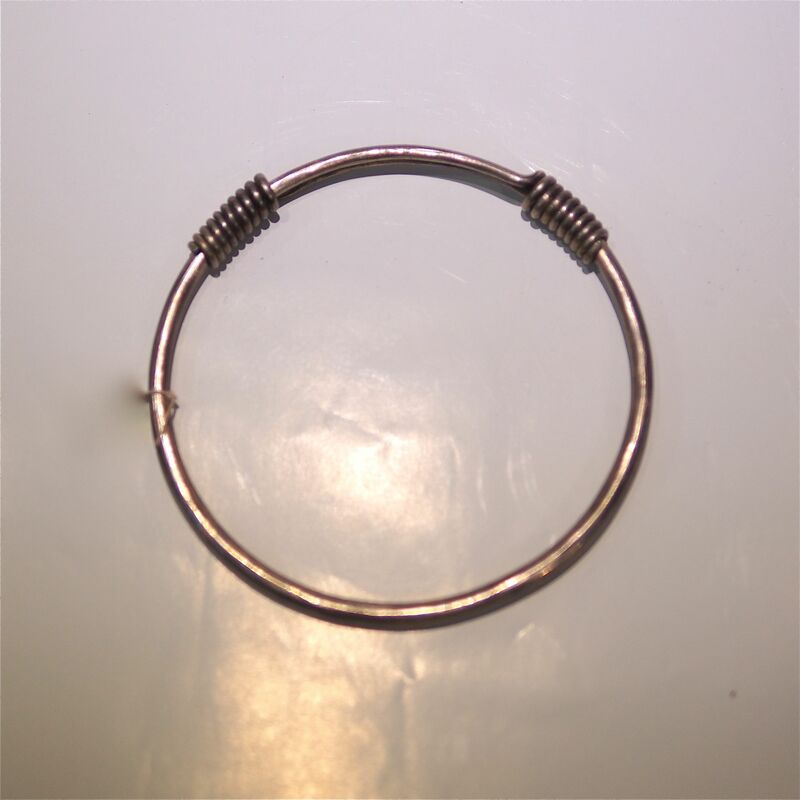 A Hakka silver bracelet which is called a Shiu Ag, the Hakka believes that the bracelet can keep the evil “wind” away (驅風), the bracelet is quite popular with the older generation women. In Chinese medicine the sickness of the 4 seasons, cold / dampness / dryness / summer heat / heat (寒，濕，燥，暑，熱) will enter our body through the “wind”, so its best to get rid of the evil wind. 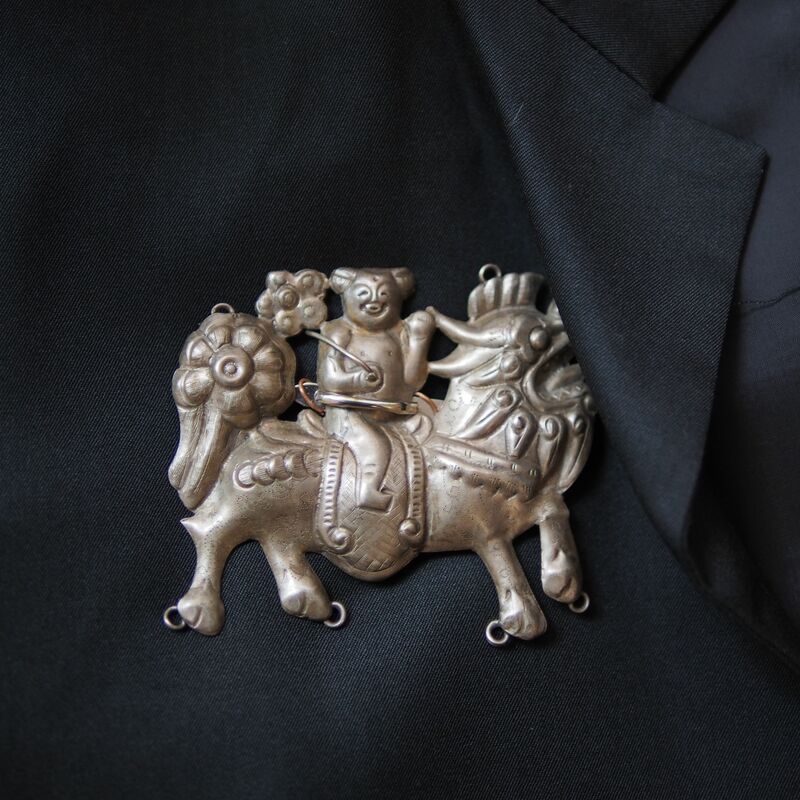 This smart silver brooch is made from an original kirin boy pendant, a blessing pendant for the child. Legend had it that the kirin delivered the baby Confucius to his parents; by putting on the figurine of the kirin boy, the parents hope that their child will also turn out to be as bright as the scholar Confucius. 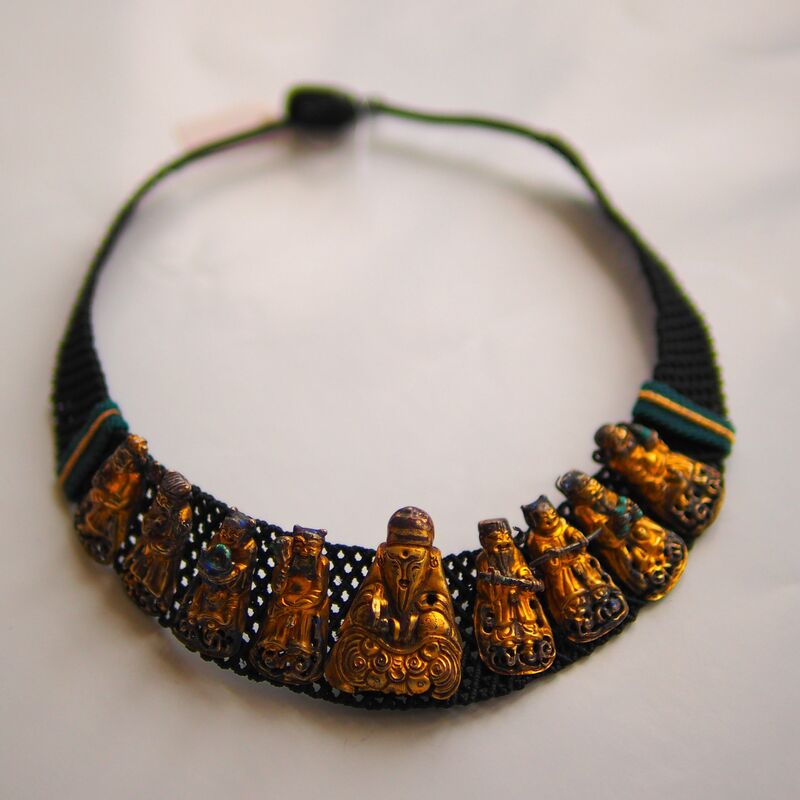 Silver Necklace, Kirin Boy Necklace, Happy Encounter Necklace, 13 Tai Bo Locket, Original Long Life Locket and others items such as Du Dou Embroidery, Clay Doll – A Fu. 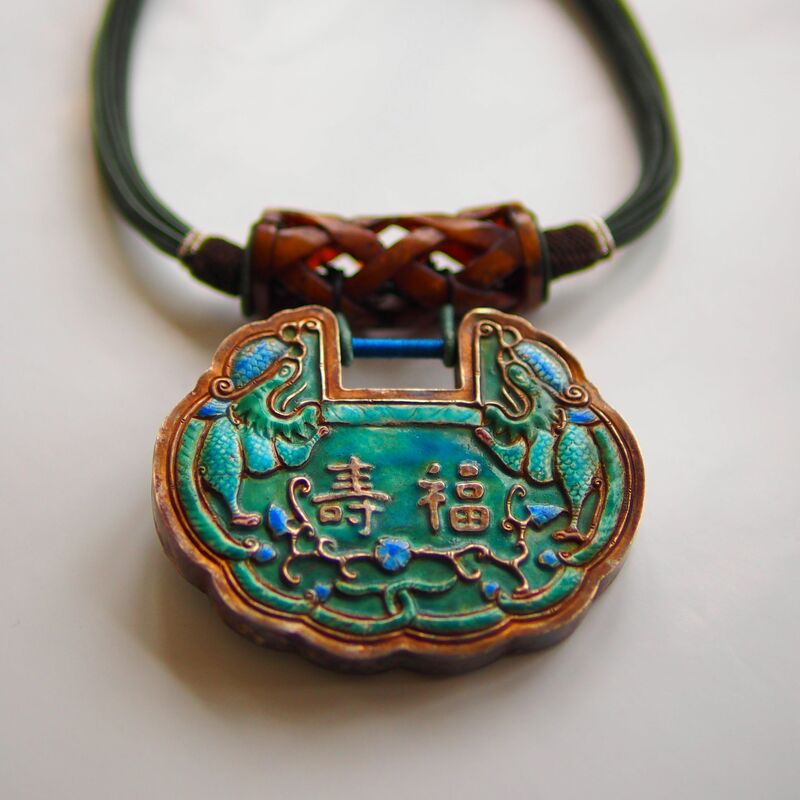 This particular locket has been glazed with Beijing enamel, shao lan, a vitreous enamel process used typically for silver jewellery. The powder enamel was melted at 600c to set on the silverware, cooled and reeapplied for 4-5 times. Because of the low temperature firing, the different ingredient, the Beijing enamel is more transparent than the popular Cloisonne. The technique was introduced from Europe in the late 17th century and like all novelty only restricted for court production. 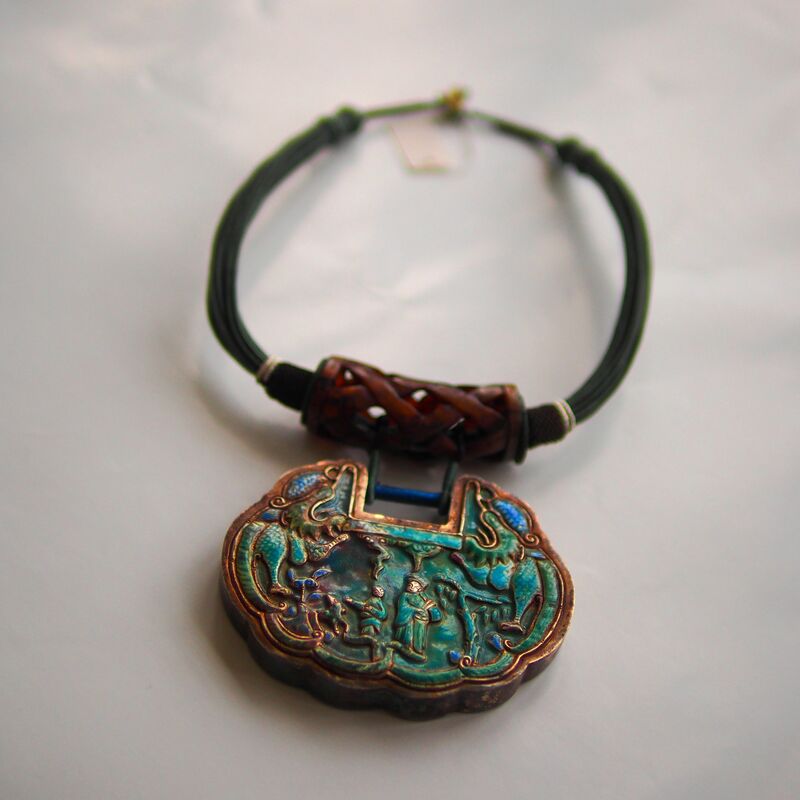 By late Qing dynasty silver items of Beijing Enamel can be found in silversmiths. 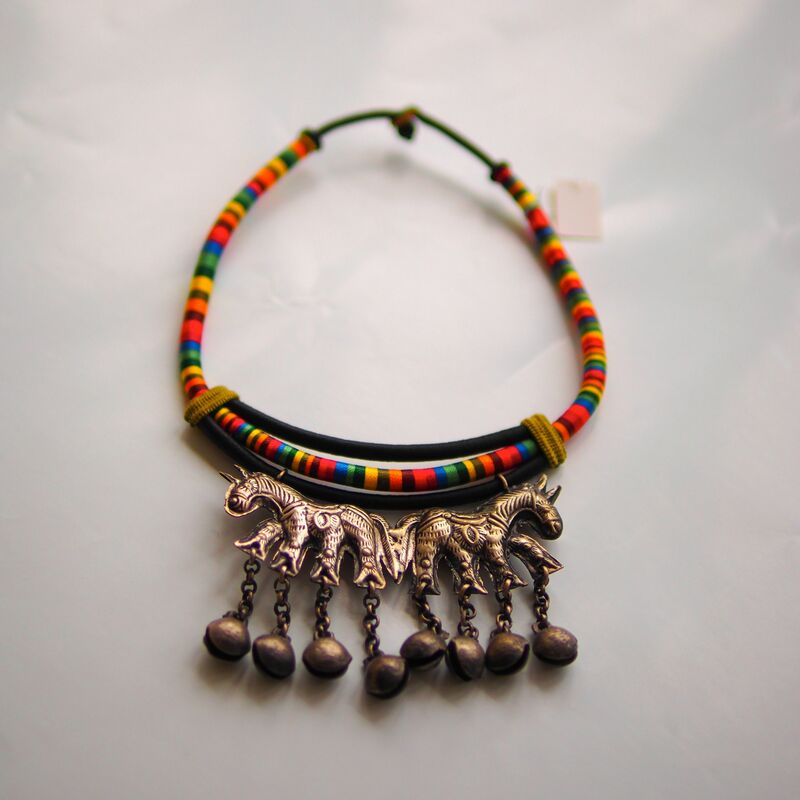 This neckware is made up of two ponys old silver pendants. 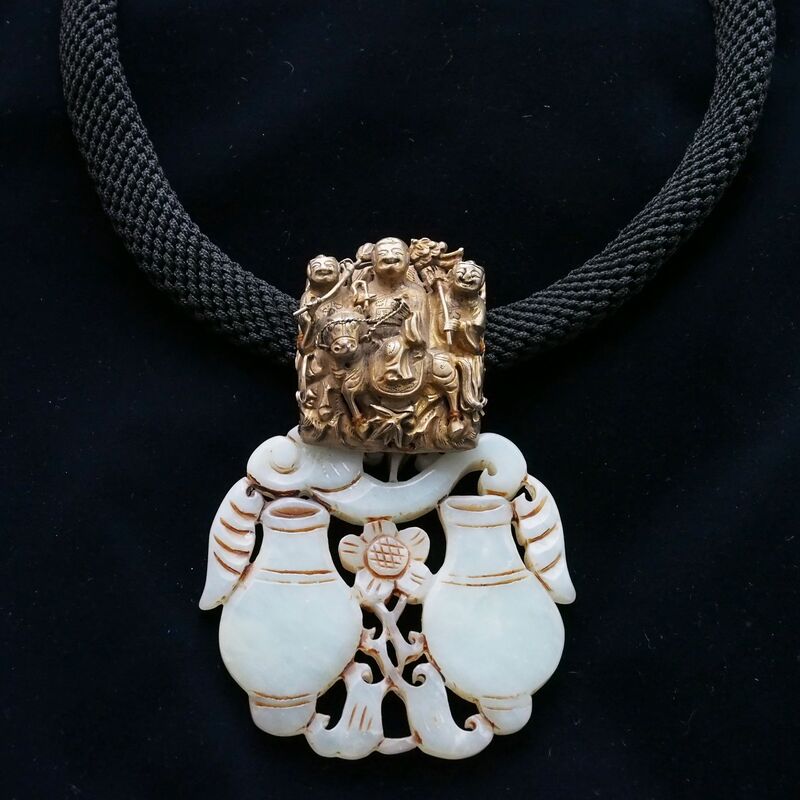 These pendants have little bells attached attached at the bottom, similar to the previous Bell Necklace these were used as a child monitor. 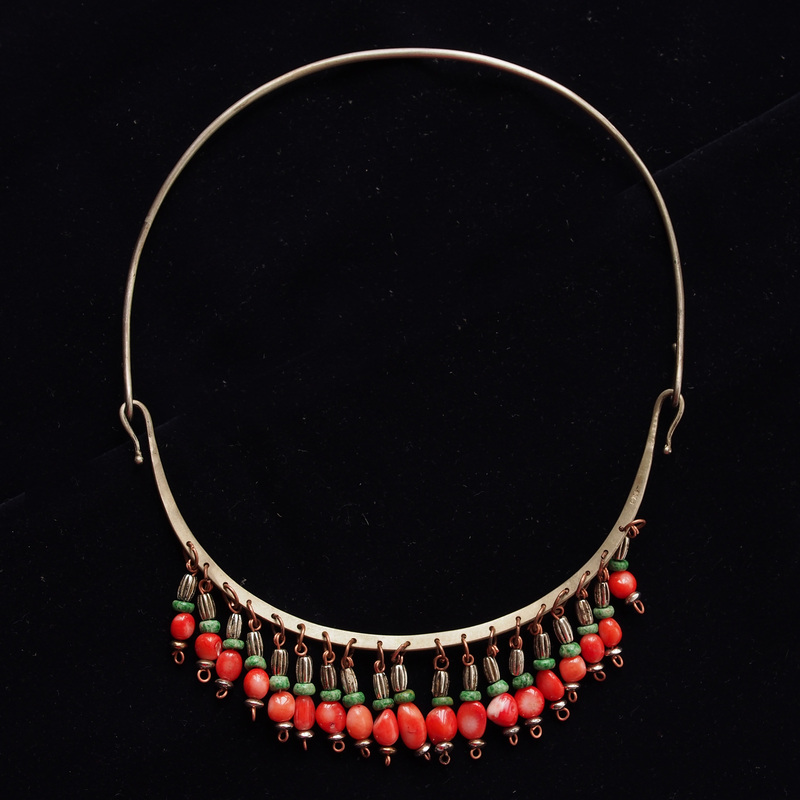 The colourful band of the necklace has been put together by hand.